First African American female to petition for the establishment of a library in African American elementary school. 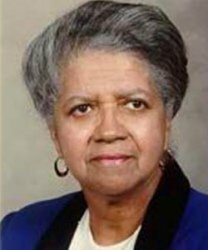 Through her persistence, the first Black elementary school library was established at Waverly Elementary School in Columbia, South Carolina. She also served as Librarian at W. A. Perry Junior High and successfully integrated the faculty of Dreher High School.